When the United Church of Christ in Japan built a new chapel in a recently developed suburb of Yokohama, they decided that a modest pipe organ would be infinitely preferable to an electronic substitute. Our task was therefore to build an instrument that would be both economical and wholly adequate to lead a congregation of up to 250 worshippers. This five-stop instrument has not only proved to be all they desired to accompany the choir and congregation but has also been used for concerts and teaching purposes. All the stops are divided at middle C which enables variations in registration in the base from the treble, thereby allowing the performance of a limited amount of two-manual repertoire. In spite of its modest size, the instrument has a surprisingly large dynamic range and can be both intimate and bold. 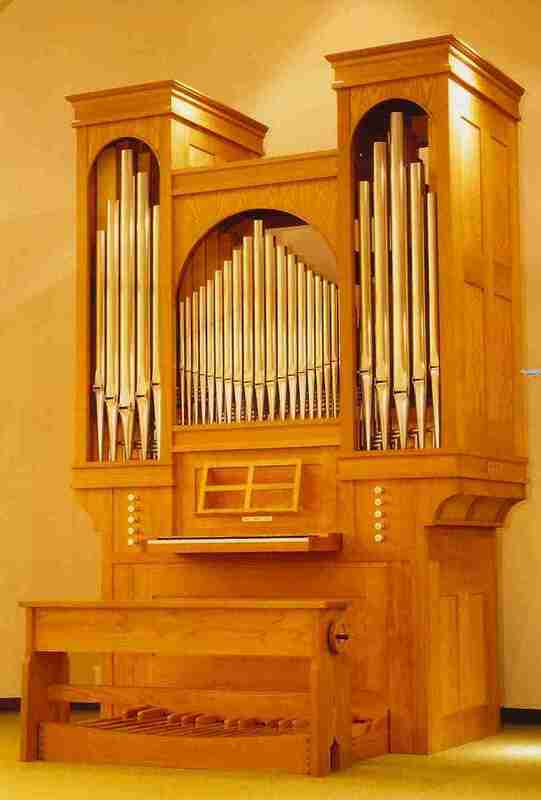 The inclusion of a Pedal Bourdon at 16' adds weight to the instrument and can be particularly useful to assist with the leading of congregational singing. 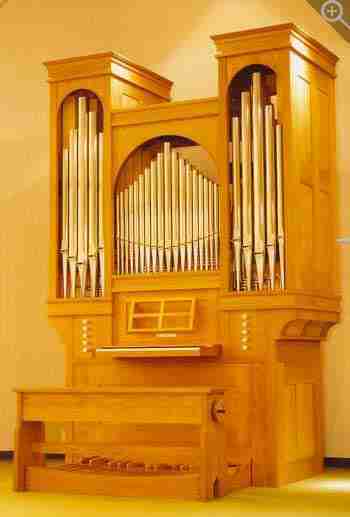 An instrument of this size is ideal for smaller churches with modest means who nonetheless aspire to a real pipe organ.